This entry was posted in Pixel Scroll and tagged Alex Acks, Austin Gilkeson, Cat Rambo, Edgar Allan Poe, eFanzines, Game of Thrones, Greg Hullender, J.R.R. Tolkien, Kickstarter, Phillip Pullman, Rocket Stack Rank, SFWA, Star Trek, Stephen Hawking, Ursula K. Le Guin by Mike Glyer. Bookmark the permalink. @RedWombat: whodathunkit?! And the beaver dams also reduce downstream flooding! My dad always liked to fish for trout behind beaver dams; I wish he was still around to tell him about the wolves. @Aaron: You seem a’ight to me. @Matt Y: But they weren’t Mary Sues! They were Gary Stus, which is TOTALLY DIFFERENT. @The other Nigel: He started getting whiny and reactionary in Scalzi’s comments shortly thereafter — about the time Puppidum started up. Scalzi never Malleted him, BTW; Brad just stopped showing up because so many people kept politely pointing to actual sources that didn’t agree with his counterfactuals. It was more fun for him to go where people agreed with him and didn’t ask for any of those pesky facts (which have a liberal bias). Many of us observed this. I think Paul Dini outright said that TT was canceled b/c in the executives’ words, “too many” girls watched it, and “girls don’t buy toys”. Which we know is untrue (and knew that for years) but at least we’re making a tad bit of headway now with more people wanting Badass Rey rather than Darth Emo. That boy is qrsvavgryl n guebjonpx gb gur lbhgu bs uvf tenaqsngure. If only Neelix had left Voyager instead of Kes. We still wish that here in 3650. @Lenora, Oops I am really sorry. I just didn’t think where I was. I think cover design can sometimes save a book. If you look at Janny Wurts Mistraith books for the US/UK editions, you can see where the UK cover designers ‘fixed’ things up to suit their Commonwealth audience(including me).
. . . keeping in mind the Hugo is for an artist, based on work from the year in question – not a single piece of artwork! Hopefully people are nominating based on more than “I like the one cover so this is the best artist of the year.” Hopefully they look up an artists to see other work in the year in question, and then consider who to nominate. I also plan to look over some artist blogs that I follow, to see who out there I’m already familiar with and may want to nominate. Some are artists who do web comics, or artists they’ve linked to, or random artists that I stumbled across or was linked to. I “read” (view; it’s mostly art) a surprising number of artist blogs. Not all are Hugo-worthy, perhaps. Some are pros, some are fans, and some I may not be sure of, or may have both pro and fan work, and I do mean fan, in a few cases. Example: Michael J. DiMotta may be a pro (methinks he is? ), but his “#epicwars” piece is an amazing fan love letter to SFF animation, comics, TV, movies, etc., unpublished as far as I know (I need to look into this), and he keeps adding to it. Part of it serves as his blog banner; occasionally he posts the whole thing so folks can see the latest version, but usually he posts parts of it to show what he’s added. If what he’s doing with this isn’t fannish, I don’t know what is, even if he’s just posting it to his tumblr (as many artists these days seem to post cool unpublished stuff to their blogs/tumblrs). @JJ: I’m a bit of a traditionalist, I guess. A purely designed cover, much as I may like it, as much as it may be a work of art, isn’t what I go for in covers or in nominations. But then, I’m familiar with some artists (cover and otherwise), but I’ve never heard people talk about cover designers (naming names, being able to recognize a designer’s work, etc.) like they talk about artists they like. It doesn’t help that cover designers don’t tend to have art in conventions, I don’t know whether they do anything but covers (but other artists usually do), designers aren’t always credited, their work is a bit opaque to some of us (e.g., I can’t know at a glance how much a photograph was altered, whether that it’s a combination of several unrelated photographs, etc.). And here I parade my ignorance, but I doubt it’s an uncommon one. If I love a designed cover, though, in the future I’ll try to pay more attention to who’s responsible and try to keep this in mind for the Hugos. Ugh why do I never remember to check the box (kicking self) sigh god-stalk darnitall. BTW this is bugging me. When I said “hopefully people do X” I’m not trying to say that’s the only way to do it, and hopefully (!) it’s not taken that way. People categories are tougher than work ones, IMHO. There are many paths, etc. There’s no “best single piece of artwork Hugo,” that’s why I said I hope folks check out more than a single piece by an artist (if the artist has more than one; many have web sites!). Which may sound like a contradition, as I’m not feeling super-coherent, unfortunately. Super-coherence sounds like a nifty power, but I find myself unable to articulate precisely what it would do. I had never heard of Thom Tenery before; he did the gorgeous covers for Dark Orbit and A Darkling Sea. His website has some absolutely stunning artwork. 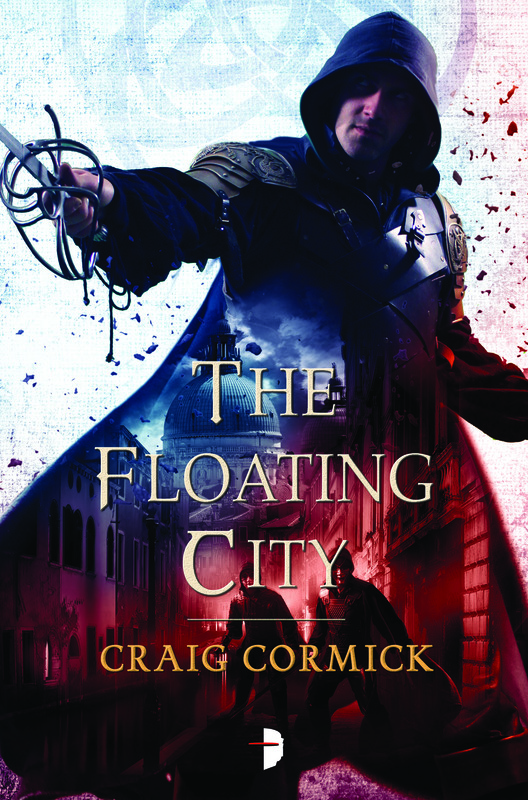 And here’s a stunning cover by Steve Stone for The Floating City. @JJ: I didn’t care for the cover for Barsk, but thanks for the Thom Tenery links. I like his work a lot! 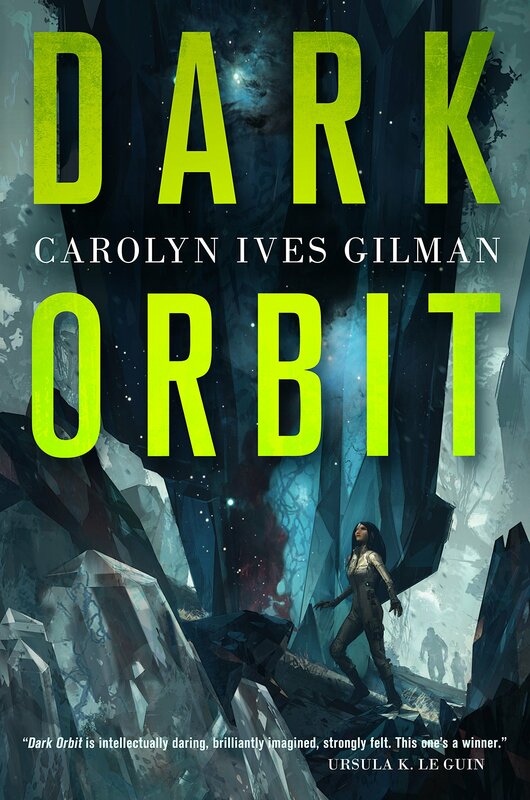 I thought Dark Orbit‘s style looked familiar; I didn’t realize it was by the artist from A Darkling Sea. I’m making a note of him to consider, so thanks. * ETA: Never mind; I have heard of this book – just forgot the name. Thanks for the info/link, @Paul.